We are proud today to announce the additions of Smriti Jayaraman as a Principal and Annabel Yee as an Associate to the founding team at Evolv Ventures. Smriti brings over 10 years of experience advising and investing in leading technology and consumer businesses. 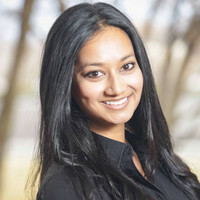 Prior to joining Evolv, Smriti was a Vice President with Guild Capital, an early stage venture firm with a focus on consumer internet businesses in Chicago, Los Angeles and New York. While at Guild, Smriti helped drive Seed investments in companies including Ruggable, Petal Card, LA Collective, and Voyage Mobile. Prior to Guild, Smriti spent several years in management consulting at Bain & Company where she focused on Private Equity due diligence and transformation strategy projects within the Tech, Media & Telecom Group. Smriti holds a BA and BS with Honors from the University of California, Berkeley and an MBA from Harvard Business School. Annabel joins Evolv Ventures with corporate venture capital and investment banking experience across various tech-focused industries. Prior to Evolv, Annabel was an analyst at Liberty Mutual Strategic Ventures, a $150m corporate venture fund of insurer Liberty Mutual. While there, Annabel was involved across the entire deal process and making connections between entrepreneurs and corporate business operations. Annabel was also an analyst at Progress Partners, a boutique investment bank, and holds double Bachelors in Finance and Information Systems from Bond University in Australia. With Smriti and Annabel, we have filled out our team with a diverse set of operators, investors and thought leaders. Our team has members that have helped run venture funds, build food tech companies and advised large fortune 500 companies. Utilizing an independent financial structure and having a deep connection within Kraft Heinz, we are committed to being different than your typical strategic investor. We are dedicated to moving fast, decisively and with the power of the 5th largest food and beverage company, aim to be the most value-added investor in the space. With Smriti and Annabel on board, we have never been more excited about the journey ahead, and working with founders and partners, who will help us change the food industry as we know it.